First, figure out the cubic feet of your garden area. Measure the floor of the area (example 3 feet by 4 feet), and multiply this by how tall the area is (example 8 feet). In this example, you would have 3 times 4 times 8, which equals 96 cubic feet. The minute you connect an air duct to your exhaust fan, the amount of air you can move (your CFM) drops. This is because it takes more energy to blow air through ten feet of air ducting compared to just blowing air straight out of the fan. The longer the air duct run the more your CFM will drop, especially if there are bends and turns. Try to keep it under 20 feet. Your grow light reflector can block your airflow and reduce your CFM. This is critical information for anyone who wants to get started in the right direction. These detailed considerations can be found in my about your reflector section. I highly recommend you read this section. The above are all good reasons to get an over-sized fan (one larger than indicated by the exhaust fan calculator). 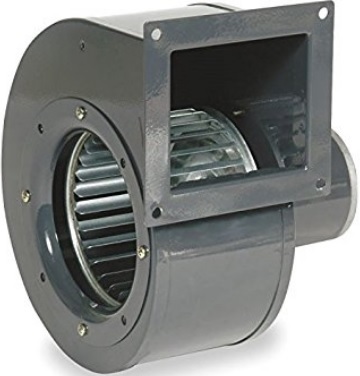 As I discussed in the garden exhaust fans page, there are only two types of fan that are appropriate to use as exhaust fans... they are squirrel cage fans (pictured here) and centrifugal fans. Everything you have read up to this point can be accomplished with a squirrel cage fan. If you decide to add a carbon filter, than a squirrel cage fan is not quite powerful enough to do the job well. You need the kind of air pressure only one kind of fan can deliver. You need a centrifugal fan (pictured here). 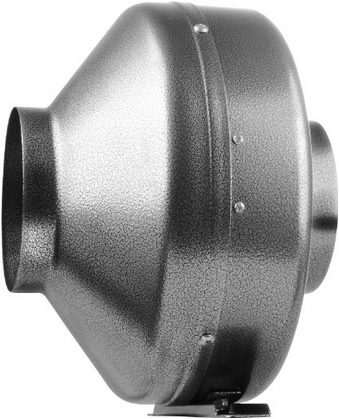 Your centrifugal fan will both filter your air, cool you lights, AND exhaust your garden area. In addition, a centrifugal fan will maintain it's CFM in many situations where a squirrel cage fan will not, so it is not necessary to get an "over-sized" fan. Simply follow whatever CFM recommendation the exhaust fan calculator indicates. By now you have a good idea of where your garden will be, what size it will be, what light you will use, and what fan to use. Now it's time to put it all together. 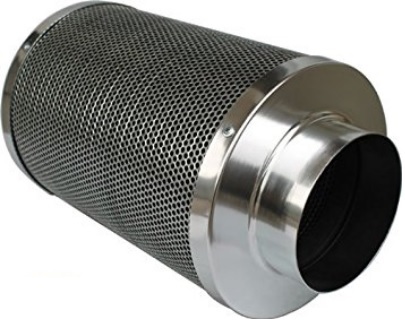 It is critical to control the high temperatures in your grow room....that means you must spend a little time and money running your exhaust setup properly.